How to Run IRobotSoft Email Scraper? 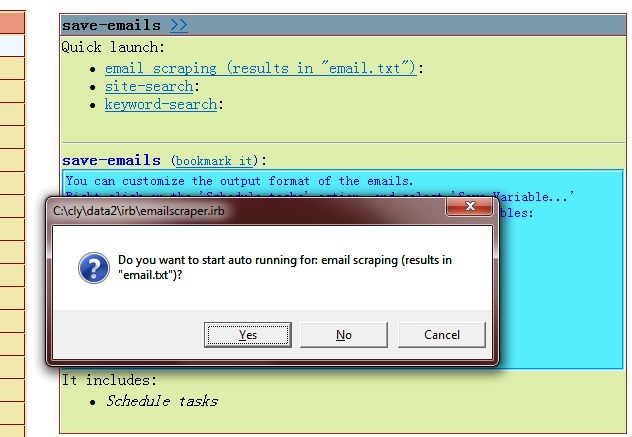 IRobotSoft Email Scraper comes in as a zip package. Download the zip package and extract all files into a directory. You will extract two files: "irobot.exe" and "emailscraper.irb". 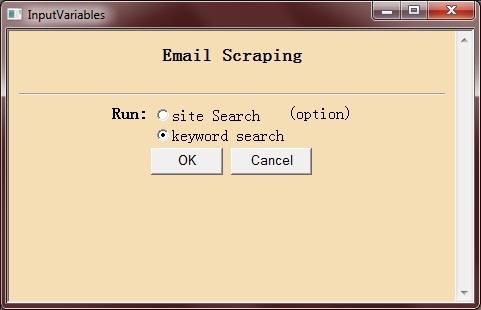 Then double-click the irobot.exe to run the email scraper. If the trial period completed, it will ask you for Encryption Key and Registration Code. The encryption key is empty (no encryption key), and the registration code is given to you after you make the purchase. Then it will ask you if you want to run email scraping. Click "Yes". It then shows a dialog and asks for either "site search" or "keyword search". Select one and press OK. If you have chosen “keyword search”, it will ask for keywords and options. Put the keywords and start the search. With multiple keywords, it would automatically start the next keyword search after one is completed. The scraper will run Google search with your keywords. 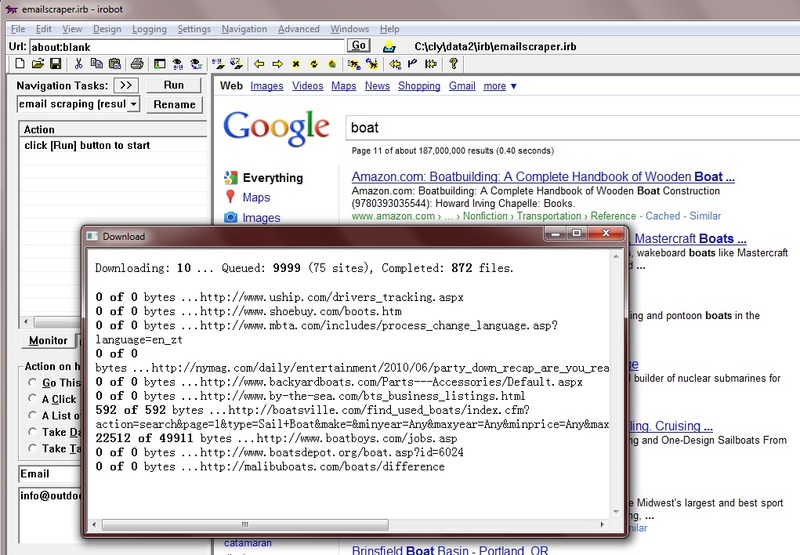 It will collect all the relevant links, and start email scraping from each website. After it completed, just open the "email.txt" file in your directory and you will find all the collected emails. Download our free trial & final release now!